Associate Producer Jean-Francois Boivin on drop-in co-op, being true to the universe, high-velocity fighting and the question of yearly sequels. Staying true to the spirit of past games has been of more than usual importance during development of the third home format Assassin’s Creed, which retains a protagonist, era, sandbox template, stealth and free-run mechanics from its predecessor but folds in a multiplayer mode and online character development. Having run appreciative fingers over the game itself, we joined Producer Jean-Francois Boivin in the shady grounds of Royal Hospital Chelsea for a chat. 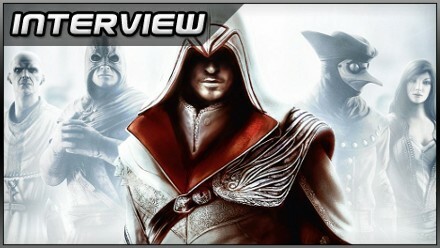 VideoGamesDaily: I was surprised to see Assassin’s Creed attract a multiplayer-oriented sequel. Can you explain the thinking behind that move? Jean-Francois Boivin: We’ve been dabbling with the idea of including a multiplayer component for quite a few years now. I think the important part for us was making sure that it wasn’t something that felt slapped on. 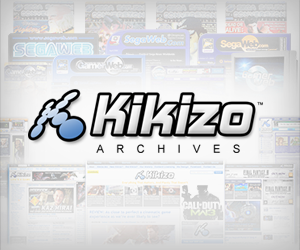 We needed to keep it true to the core values of our franchise. We wanted it to be smart, we wanted it to be something that stands out from the mass, in regards to what else is out there in multiplayer kind of games, so all those things make us really go back to the drawing board many, many times, and we’re finally very happy with how it came out. It’s true to our license because it really promotes the core pillars of our game, which are social, stealth, navigation and fighting. 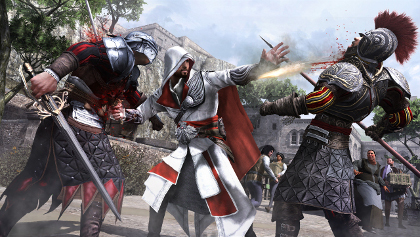 The hidden gun lends a bit more emphasis to Ezio's counterkills. It’s true to our universe in the sense that there’s a very strong part of the story tied into it, it’s basically ‘meanwhile what’s going on at Abstergo…’ Assassin’s Creed is all about Desmond Miles’s story, and now the multiplayer aspect – the single player is more of Desmond Miles, but the multiplayer aspect has become what Abstergo’s story is, what the Templar side of the story is. So the whole premise is that, if you remember at the start of AC2 there’s an escape from Abstergo and you see a bunch of Aima there, and that’s sort of a wink of what’s to come. Basically, what Abstergo is doing is they’re recruiting subjects and sort of uploading genetic memories into their brains, into their minds, and allowing them to train with the assassin’s skills. So in consequence you will have Templars with assassin skills. The ‘Wanted’ mode you showed off today put the emphasis on stealth. Will the other modes feed into the other gameplay ‘pillars’ you mentioned? Will there be a more traditional deathmatch-style melee option, perhaps? I’ll answer it this way. Right now the mode we’re showing is Wanted – it’s a cat and mouse game, where you’re both the cat and the mouse. Many different modes are available – there are three main modes in all but within them you have submodes and whatnot, so there will be varieties within the same kind of mode. So more information is to come, so speculation is wide open as to what is available, but you have to understand that those are the pillars of our universe, and this is what keeps us unique, and we need to keep showing the respect to our players and encourage smart players to use the game as it was intended to be. Or else it just becomes a mishmash of whatever. So we want to keep it smart, we want to keep it true to the universe. I know I say that all the time but it’s very very important. Posted in Interviews, Spotlight, and tagged with 2011, action-adventure, PC, PlayStation 3, PS3, third-person, Ubisoft, Xbox 360. I really enjoyed AC1 and AC2 can’t wait for ACBrotherhood to come out in stores. I’ve heard that multiplayer (Xbox live,Playstation online)will be now on the game can’t wait for it. Also you can have other assasains to help you out in missions which I think personally is a bit usless because I really want to do the missions myself but some of you might find it hand. If you buy it enjoy.